Located in the lakeside of Sun Moon Lake with unique lake view outside the window, THE RICHFOREST HOTEL-SUN MOON LAKE shows touching look with zero distance through four seasons; no matter the bright and beautiful Spring, gorgeous and remarkable Summer, graceful and romantic Autumn and broad and heroic Winter. THE RICHFOREST HOTEL is more than a club house to travelers, it is a paradise for holiday that people would yearn for. Located in Nantou, the hotel is at a 90-minute drive from Taichung Airport. It sits beside the scenic Sun Moon Lake, the largest freshwater lake in Taiwan. Nearby attractions include Peacock Garden and Sun Moon Village. Beautiful like a painting, the hotel reflects the surrounding mountains and Lalu Island on its surface. The hotel's on-site restaurant features international dishes and 180-degree lake views. 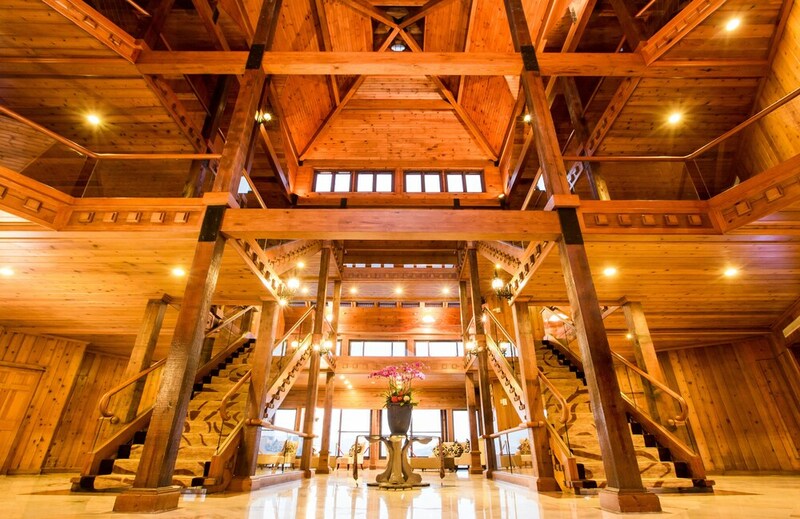 Unique and grand, The Richforest Hotel- Sun Moon Lake claims to be the mega wooden cottage of Asia, with the whole property built from Chinese cypress timber. The Richforest Hotel- Sun Moon Lake combines state-of-the-art recreational facilities and stunning landscapes to create one of the best vacation spots for all types of travelers. The resort is nestled on the shores of Sun Moon Lake, providing a year-round place surrounded by pristine nature. The 45 guest rooms are spacious and relaxing. Each unit features floor-to-ceiling French windows and is pre-equipped with a host of luxurious amenities, ensuring all guests' needs are met. In terms of facilities, there's an upscale retro vibe about the blue-tiled swimming pool and its all-wood setting; the luxurious sauna and well-equipped gym are also on an impressive scale. When you're not hiking or cycling around the lake, test your skills in the karaoke or chess rooms, or in the pool hall. Having worked up an appetite, dine on western and Asian dishes, and soak up the views at the Lake View restaurant. Facilities: electronic card door locks, dry/wet separation bathroom, 37" LCD TV with multinational satellite TV channels, standalone inverter air-conditioner, hair dryer, electric water boiler, private safe and mini bar, free in-room broadband internet access and voice mail, free WiFi, direct dial telephone, 110V socket, triple shower gel, coffee, tea and water served in room. The Deluxe Room(Mountain View) faces towards the sacred mountain of Thao tribe, telling the legend of the thousand -year white deer to overfill the spacious guest room, portraying the joy of stay in the tranquil corner for 2 people. Where you could get to the water of Sun Moon Lake and listen to the sound of fish jump quietly so close? All these are in the Deluxe Double Room(Lake View). You would see the sky water right in front of your sight when you open the French window, the lake water is so close to people while our heart flees to faraway lands along with the wind. Dreams of every generation have interweaved through the Sun-Moon Lake. 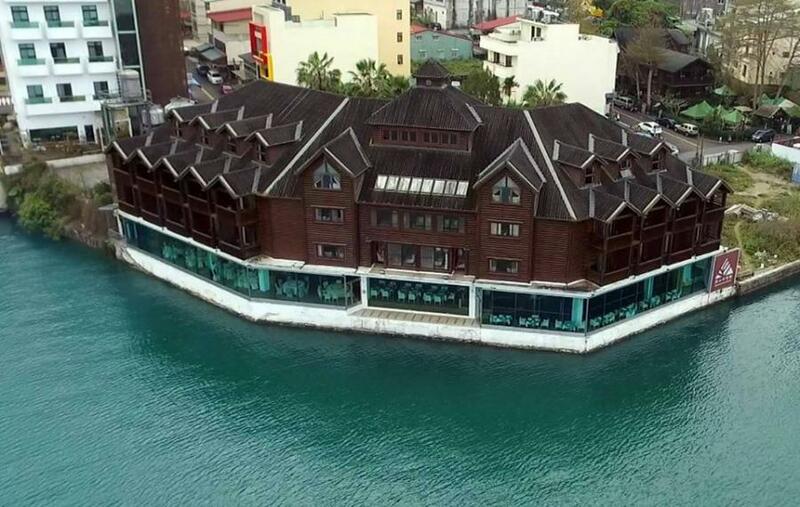 The hotel will satisfy every member in the family, same lake water but different minds, experience different looks of Sun-Moon Lake respectively. Only The Richforest Hotel would be qualified enough to match your infinite honor and glory when you report higher achievement over time. Taking off the troublesome cover of human affairs and exchanging for calmness while facing the peaceful lake view. Lake View restaurant has an absolutely fascinating and unique view of the Sun Moon Lake through the ceiling window. Each season reflect a different kind of view of the lake, the close distances of the restaurant from the lake makes the dining experience superb.